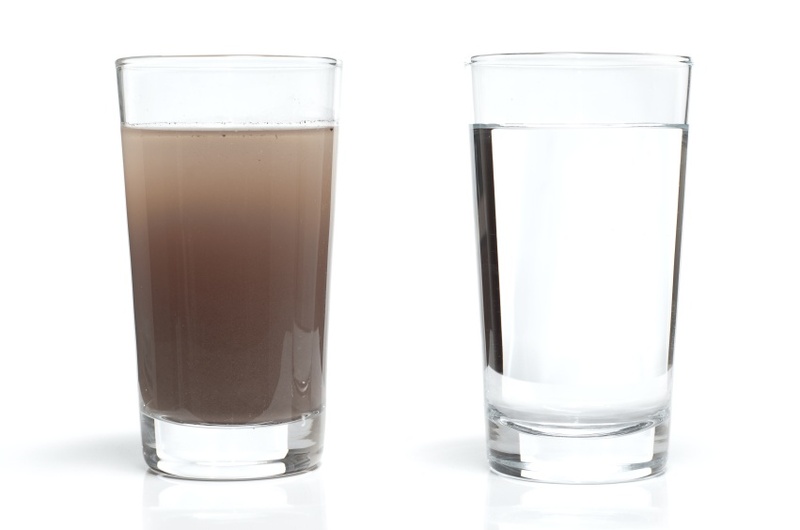 In the last decade, the number of products designed to reduce contaminants in tap water has expanded significantly. 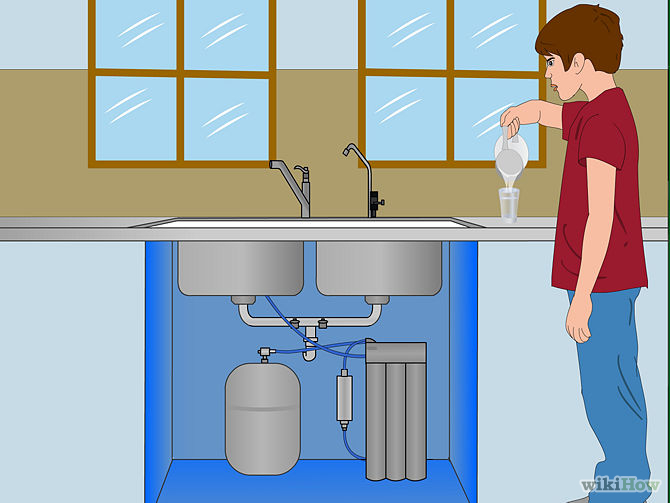 In this article, I summarized a quick lesson on home water purification systems. Look for products that tackle specifically your problem. 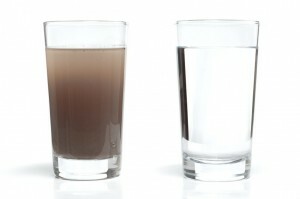 Filters reduce chemical contaminants, some metals, parasites, sediment. Provide about 1/2 to 1 gallon of water a minute. DEVICE. Choose a style that fits your needs: Pitchers with filters: Inexpensive. No installation; frequent filter changes (every 40 gallons). Faucet with builtin filter — may require pro to install; filter changes every 100 gallons or so. Device that mounts on existing faucet; filter changes every 100 gallons or so. 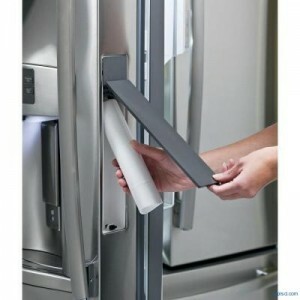 Countertop device that connects to faucet via hose; filter change starting at about every 100 gallons. Plumbed-in: Systems that install under sink and refrigerator filters that install directly to plumbing line. Both have long filter lives; generally require pro to install. CERTIFY/VERIFY. Look for an NSF-certified product. And be sure to read the owner’s manual to make sure you change the filter appropriately. Today ships are responsible for 13 percent of diesel emissions worldwide. Until 2050 this number could even triple, says a current study of the International Council on Clean Transportation (ICCT). The situation in the Arctic is especially dramatic. It is expected that the emissions from ships in arctic waters will be six fold until 2025 and accelerate the melting of the ice. The expected rise in emissions would eliminate much of the effort achieved on land so far. While exhaust fumes from cars, trucks and power plants are filtered, the shipping industry is incredibly excused from anti-pollution. To make things worse, even if the emissions happen in the air on the high seas – it can be blown several hundred kilometres inland. 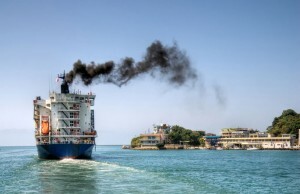 Just in Europe air pollution from ships causes about 50.000 premature deaths. There are still solutions. The ICCT study estimates that emissions could be reduced by 70 percent with the currently available measures – and that’s even a conservative estimation. If all ships would use soot particle filters, 99,9 percent of soot could be filtered from the fumes. The use of marine diesel with a better quality and effective exhaust gas emission systems needs to become compulsory for all ships. It is not surprising to see the bleak pictures from Beijing clearly showing what happens when protection of air quality is not taken seriously. Good air means good quality of life. As a matter of fact, every person breathes in around 15,000 litres of air per day. Although the air quality in Europe is better than that in China, Europeans should continuous their effort to keep their air clean. 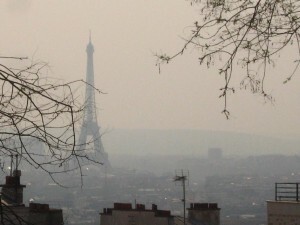 The air in Europe contains a lot of nitrogen oxide and fine particulate matter that make people sick. 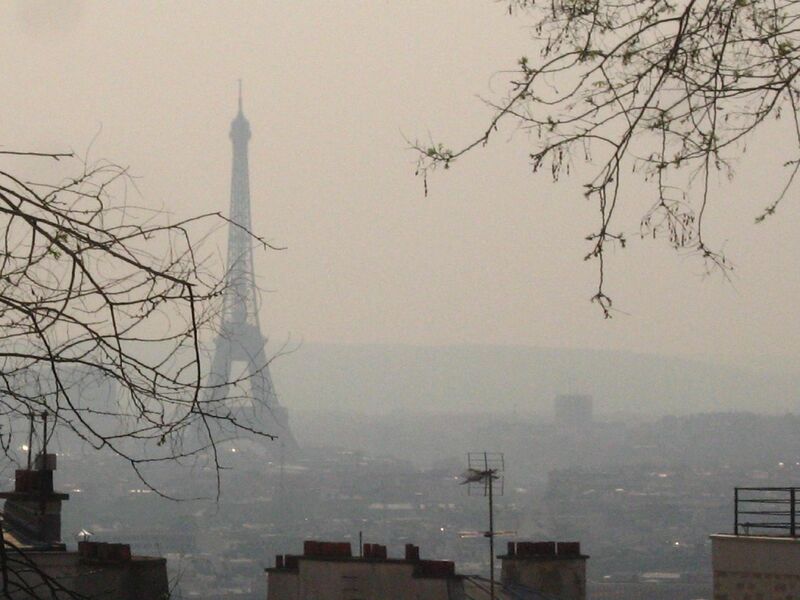 That’s why nine European NGOs are now collaborating on a new project called Clean Air. They are mainly focusing on transportation and want to show how air quality can successfully be improved. Indeed, it’s time for us to fight against air pollution. The continuing violations of the limits, and the resulting damage caused by emissions, fine particulates and threaten both the climate and public health. The fact is: even if particulates and nitrogen oxide are not visible to the naked eye, it is estimated that in 2010 alone, over 420,000 people died prematurely as a result of air pollution. Clean Air Project started in 2013. The partners have been directing their efforts at many different parties involved in air protection, such as local and regional government offices, transportation companies and the general public. The project spreads examples of best practices and provide forums where experts, decision makers and representatives of civil society can come together to share experiences and expertise. We need clean cars, buses and ships and the right transportation policies — so that everyone can breathe freely. Pollutants come into different categories. Despite most air purifiers help remove pollutants, not every cleaner has the ability to tackle each pollutant in the same manner. Let’s look into the different type of pollutants in the air around us. Pet dander is a powerful allergen that can trigger severe reactions in to allergy-sufferers. The most common treatment would be an air purifier that contains a type of HEPA filter. True HEPA filters are certified and best known for removing allergens of all kinds, especially pet dander. If you want to remove more solid particles floating around in the air like pollen or dust mites, a HEPA filter is all you need. Another option that’s especially good for dust is an ionizer. Ionizers are very similar to air purifiers, only their technology utilizes negative ions which attach in the air to the positively charged particles of dust. Most households have experienced some kind of mold or mildew problems which occur in humid environments. Once mold has spread, it produces airborne spores that can be dangerous to your health. The best treatment out there is an air purifier with a certified HEPA filter, and if it comes with an inbuilt ionizer even better! HEPA filters are great at removing solid particles out of the air, while Ionizers produce negative ions that attach to the spores and neutralize them. What else can we do with coconut shells? Activated carbon. We all like coconuts. But how much do we know about its shells? They are indeed biomass waste and if treated properly, can be very sustainable products. 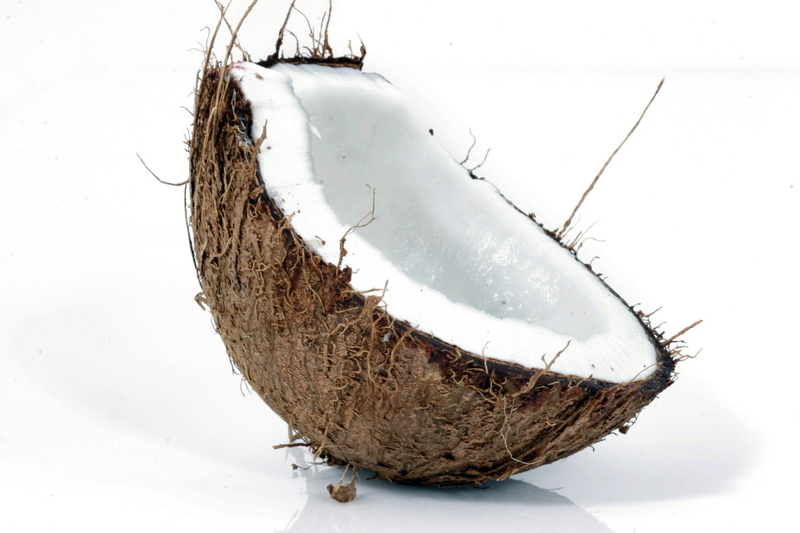 Like its name, coconut shell activated carbon comes from the coconut shell. To create its activated carbon form, the coconut undergoes a steam activation process. During activation, it creates millions of pores at the surface of the carbon thus increasing the total surface area. Coconut shell carbon has mainly micro-pores to meso-pores and due to its unique distribution of pore diameter; coconut shell activated carbons are very popular in the gas phase purification and potable water purification industries. Activated carbon manufactured from coconut shell is considered superior to those obtained from other sources, such as wood, coal or peat. This is mainly because of the small macropores structure which renders it more effective for the adsorption of gas/vapour and for the removal of colour and odour of compounds. Indeed, coconut activated carbon has higher iodine number that gives it better adsorption ability for molecules. The activated carbon is extensively used in the refining and bleaching of vegetable oils and chemical solutions, water purification, recovery of solvents and other vapours, recovery of gold, in gas masks for protection against toxic gases, in filters for providing adequate protection against war gases/nuclear fall outs, etc. Although steam activation and chemical activation are the two commonly used processes for the manufacture of activated carbon, coconut shell based activated carbon units are adopting the steam activation process to produce good quality activated carbon. Let’s say we have a family member who likes to smoke constantly. When he or she is in the house, we hate it. Then, what can we put in the house so other people aren’t consuming the smoke? We are well aware about the second hand smoke and damages it brings. In addition to the smoke, cigarettes also produce a sticky tar that can build up on furniture and walls causing a brown discoloration (the same theory applies on smokers’ teeth). Fortunately, there’re still plenty of products available to help remove the room of this unpleasant and unhealthy smoke. 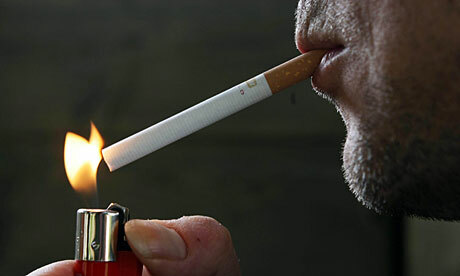 There are two factors that need to be considered with cigarette smoke. The first is an ozone producing machine. This neutralizes the odour and toxic components that are released with the cigarette smoke. The second is a HEPA filter. These are effective in filtering out the tar and particulate to keep it from landing on the surfaces in your home. Together, these two items will help remove the smell and keep the tar out of your home, making for an efficient cigarette smoke removal system. Trust it or not, they will do the job beyond your expectations. Air purifiers or ionizers alone will not effectively remove the cigarette smoke from the air. Ensure that your air purifying device contains both an ozone generating component as well as a filtering system. In the world we live in, we never know what is coming next. Fires, hurricanes, and other natural disasters can lead to disastrous situations. That is why we should always be prepared to be able to survive in many conditions. One key factor to survival in all situations is to get clean and safe water for drinking. 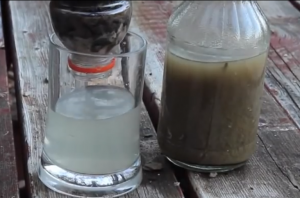 In this article I will share how to build a filter for water purification, using only materials found in the wilderness (with the exception of cloth). I will also show you how to finally boil your water for purification in the wilderness. The first thing we are going to need is the birch bark. We will use this bark to hold the filter together in a cone shape. Cut the bark in a half circle with a diameter of roughly one foot. Then, roll the bark into a cone. Of course, you could also use the top of a waterbottle that is cut in half (if you can find it during emergency situations). The second item is a small live branch. Normally I wouldn’t suggest to cut live branch, but we are talking about a survival situation. We need to use the live branch or plant to tie the cone shape together. What’s next? Continue on Part 2. The third and most important item is the charcoal. This is the part of the filter that removes the most impurities from the water. In order to get charcoal in the wild, you must make it yourself. The first step in making charcoal is building a fire. Once you have your fire, put one large log on the fire and wait until the log is totally burned but has not turned into ash. Using another stick, take the burn pieces of charcoal off of the log. Keep these pieces safe until the building process. The next materials include stones and gravel. If you are in an area that does not have sand, then do not waste your time looking for it because it is not the most important part of the filter. You only need about a handful off each of these materials. The last material is a type of cloth. Although it is not found in the wild, cloth may be the easiest item to retrieve on this list. After collecting the materials, we can start build the filter. It is actually very simple and easy. The first thing that you should do is roll the bark into a cone and use your knife to poke a hole through the overlapping part. String the leaf or branch that you picked earlier through the hole and tie off the end using a square knot. Now, take your pieces of charcoal and put them in the center of the piece of cloth you have. Now bring all the corners of the cloth together so the charcoal sits in the bottom. Now, covering the charcoal, use your hand to smash it into a powder. Put the part with charcoal into the cone and spread out the corners so you can see the charcoal. Pile on the gravel and then the rocks and your filter is set to go. After that, boil the water For purification. We will need an area where clay is under the soil. We will use the clay to line the hole in the ground so that no water leaks into the earth. This is pretty simple, dig two holes, one for boiling and one to get clay. Take the clay and add a little bit of water to it so you can apply it to the hole. Seal off all the dirt. Now you can pour water into it and get your fire going along side it. You will need to find dry rocks to do this. Put a few rocks in the fire and once they have been in the fire for a while, you can put them into your water using another two sticks. You know its boiling when its bubbling. Now you know how to put together a water filter in the wild. But this method for water purification is for SURVIVAL CONDITIONS ONLY, and it is not the best method of purifying water if you are near civilization. 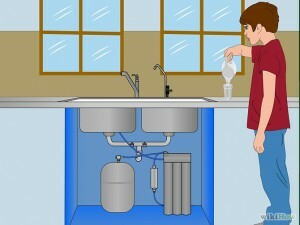 During “normal” times, find and install a qualified water filter for your drinking water.